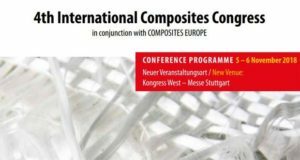 The 4th edition of the International Composites Congress is supposed to kick off the largest Composite Forum in Europe. 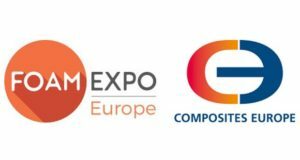 On the April 23-25, 2019 Mir-Expo Exhibition Company LLC along with the Union of Composite Manufactures will host the 12th edition of the International Specialized Exhibition Composite-Expo. 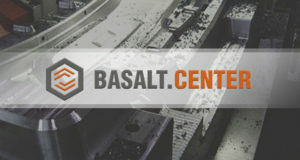 The company offers integrated development and manufacture of moulds and technological equipment that meet high production and operational requirements. 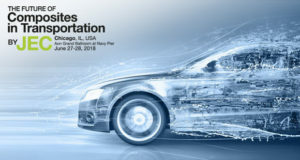 Two-day international symposium The Future of Composites in Transportation will be held in Navy Pier Convention Center (Chicago), June 27-28. Alongside the symposium, the exhibition dedicated to one of the biggest composite market segments: ground transportation will be held. 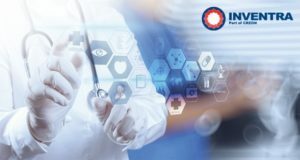 Import and raw International conference Plastics in Medicine Industry 2018 will be held on May 29th, 2018 in the Hotel Baltschug Kempinski, Moscow. 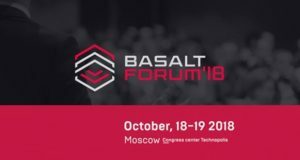 A unique communication platform awaits entrepreneurs, investors, scientists and developers from the composite industry, who are ready to overturn preconceptions about basalt fiber and its features in almost all applications. 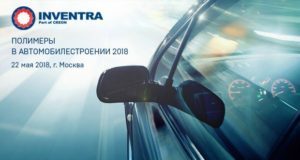 INVENTRA invites to visit the 10th international conference Polymers in Automotive Industry 2018, which will be held in hotel Baltschug Kempinski, Moscow. 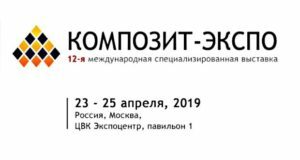 On April 26 the 12th International Conference "Polymer pipes and fittings 2018" took place in Moscow. 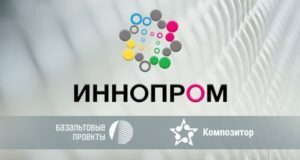 The participants focused on the polymer pipes market, on the issues preventing the positive trend from further developing.